who He was, what He did, and what He means to them. 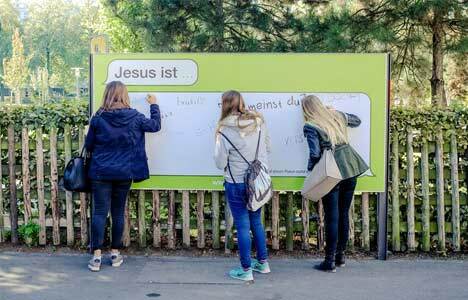 Along the streets, at bus stops, in train stations – wherever people are one the move – colorful posters appeared, offering passers-by the opportunity to finish the sentence by writing their own words on the billboard. The online portal invited visitors to create their own poster and share it online through social media. Whether a critic, a doubter or a believer, the campaign aimed at making Jesus a topic of conversation leading up to Easter. 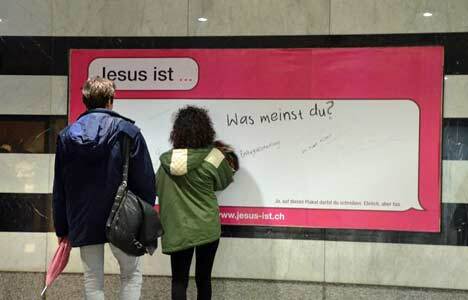 In today’s Swiss society, Jesus has become more and more of a taboo topic – despite the fact that our calendar is still filled with clearly Christian holidays. Many people have heard of Jesus, but few really know Him. Now more than half way through the campaign period, the response has been amazing! More than 3,000 people have created their own online statements, and some billboards even had to be replaced because the posters were so full. 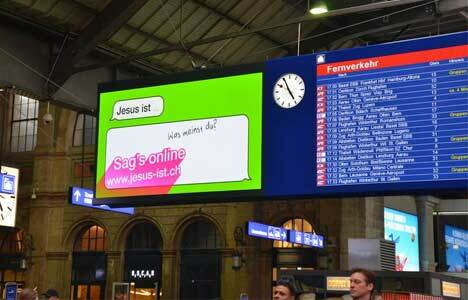 What a great way to get people talking about Jesus at Eastertime. 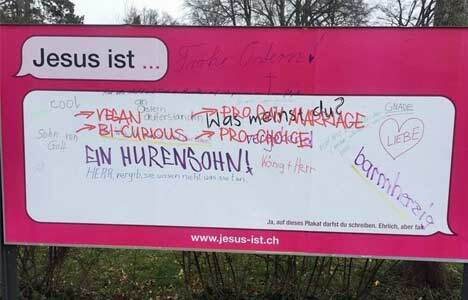 Visit the Jesus ist... website to create your own statement. Last Tuesday, Agape Paris leaders met for a Vision Night. Joe Schlie describes the vision of Agape Paris and how the Paris metro system inspires him in reaching Paris. What's your vision for your city? Go to: Stories Go to: WOW-God Days!